The Register of Historic Parks and Gardens of special historic interest in England, was established in 1983 (National Heritage Act) and is managed by Historic England. It currently identifies over 1,600 significant sites across the country, ranging from the grounds of large stately homes to small domestic gardens, as well other designed landscapes such as town squares, public parks and cemeteries. The register aims to “celebrate designed landscapes of note, and encourage appropriate protection” so as to safeguard the features and qualities of these key landscapes into the future. The designation is on a par with scheduling and listing and therefore provides legal protection which means it is a material consideration in the planning process. Within the National Park we have four entries on the national Register of Historic Parks and Gardens. Arncliffe Hall – A small 3 hectare site, Arncliffe Hall gardens include two walled enclosures, grass terraces, a summerhouse, and two L shaped canals. The Hall was built between 1753 and 1754 and the gardens and pleasure grounds had been laid out by the 1770s. Alterations have since been made, although the structure of the gardens has remained broadly intact. The Hall gardens are not open to the public. Duncombe Park – This 285 hectare park was created in the early 18th century and early to mid-19th century on the site of a medieval deer park associated with Helmsley Castle. It was described as “pleasure grounds” with a curving terrace, blocks of woodland with curving paths and a serpentine ha-ha. It is one of the earliest examples of a ha-ha in the country (around 1718-23) – the walled ditch demarcates between the garden and the thrilling ‘wilder’ landscape beyond without breaking up the important vista. The Park retains elements of both the formal, symmetrical garden style and the later more picturesque “English garden” style. The Park still contains a large number of veteran trees and is considered the most important parkland in the north of England for dead-wood insects. The Duncombe Park gardens are open to the public – please see the Duncombe Park website. Rievaulx Terrace – This 23 hectare site forms a terrace laid out in about 1758 with views of the valley of the Rye and the ruins of Rievaulx Abbey. The layout of the Terrace with the emphasis on unfolding views rather than formal axes was departure at the time and has been described as ‘a landmark in the development of English Landscape style’ and ‘a superlative example of large-scale landscape gardening’. The Terrace was part of the Duncombe Park Estate and the picturesque dramatic ruins of Rievaulx Abbey presented the ultimate landscape Folly. The Terrace is open to the public – please see the National Trust website. Mulgrave Castle – A 350 hectare park which was laid out by the first Earl of Mulgrave in the late 18th century and early 19th century incorporating proposals of Humphry Repton (the last great English landscape designer of the 18th century, often regarded as the successor to Capability Brown). A series of drives took in the most dramatic and aesthetic features. The Park makes full use of its ‘wild’ rural setting and encompasses the steep valleys of the Sandsend Beck and East Row Beck, as well as the romantic ruins of the old Castle. The Park is occasionally open to the public, by invitation. ‘The region forms one of the most natural divisions of Yorkshire possessing its own special physical boundaries’ Frank Elgee, 1912. The North York Moors stands out from the surrounding lowland landscape to the north and west, stands up against the North Sea in the east, and to the south slopes more gently down into the Vale of Pickering. The North York Moors were originally designated as a National Park because of its landscape. The land forms and land management which result in the changing landscape are a result of the underlying geology. The geology of the North York Moors is made up largely of layers of sedimentary rock formed under water during the Jurassic Age. The exception is the Cleveland (Whinstone) Dyke which cuts across the area and is an igneous seam forced vertically upwards as molten lava. The last Ice Age, around two million years ago, meant the North York Moors plateau was surrounded on three sides by ice sheets. The effects of the ice itself, and then as it retreated, had huge effects on the land forms along the edges e.g. the western scarp, the Newtondale and Forge Valley glacial meltwater channels. Sedimentary rocks continue to erode over time, due to the wind, rain and the sea, and so the landscape continues to morph – this can be seen most dramatically now along the coastal edge. In a number of places where softer shale rocks have eroded away, the harder sedimentary rocks remain as outcrops e.g. Bridestones. Formed under water sedimentary rocks contain the fossilised remains of animals and plants deposited on the sea floor which is why this area is so well known for fossils. There was a thriving industry on the coast in the 19th century where dealers were happy to supply real, and not so real, fossils and other historic artefacts to collectors. 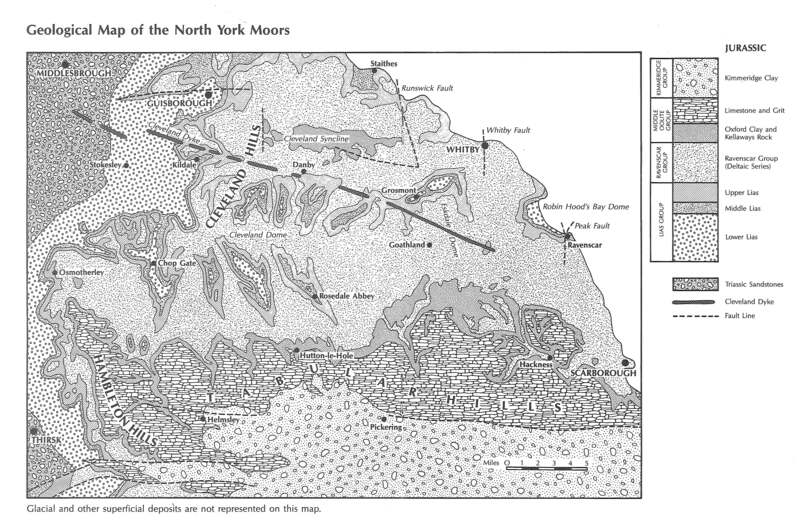 Geology shaped in prehistory continues to affect the more recent history of the North York Moors. The sedimentary rock groups include elements which have been quarried and mined, and vestiges of these industries can still be seen today. These minerals, valuable enough at one time or another to encourage exploitation, have included jet, coal, alum, and ironstone; as well as limestone and whinstone for building materials. The needs of the industrial revolution led to advances in geology/geomorphology because it was financially important to be able to understand and identify where the best mineral seams could be most easily accessed. The latest minerals of the North York Moors area to be valued are potash and polyhalite. Oil and gas (created by fossilisation) are also present in the sedimentary rock stratification. This particular dragonfly species favours watercourses and waterbodies in upland heathland areas, including the North York Moors. One of the places it can be seen is the Yorkshire Wildlife Trust’s Fen Bog Nature Reserve. The majority of the life of a dragonfly is spent as a nymph living in water and predating on other creatures including fish. The short lived adult emerges from the larval stage when it leaves the water, begins to breathe and breaks out of its old skin. Adult dragonflies are a spectacular summer sight in England where native wildlife is seldom flashy, because of their unusual size and their eye catching bright colours. The Golden Plover is a wading bird. A wader is any species of longish legged bird that feeds in shallow water. 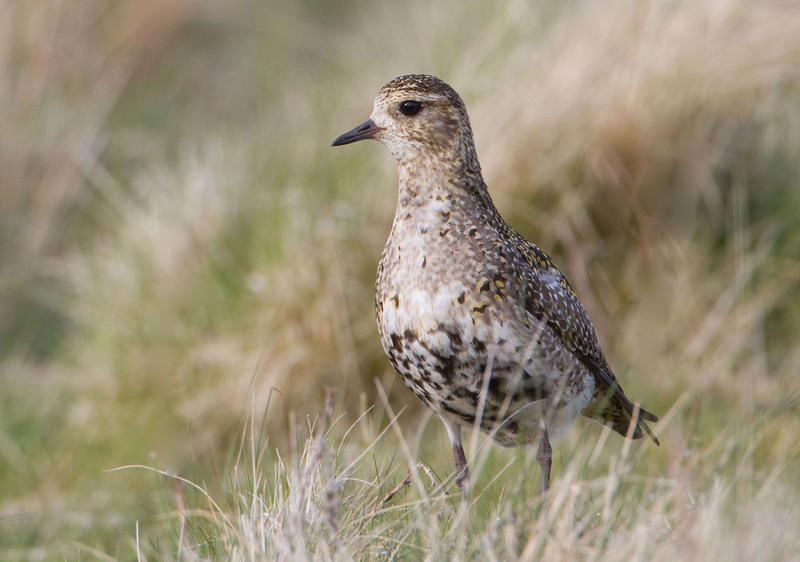 The Golden Plover is one of a number of wader species that breed on the North York Moors – the other main species being Lapwing, Curlew and Snipe. Golden Plover spend spring and summer on the moorland and along the moorland/farmland edge (inbye). They are a ground nesting bird preferring shorter managed vegetation so they can see approaching predators. Like most ground nesting birds they are often more easily heard than seen. The major moorland area of the North York Moors National Park is an internationally important habitat for Golden Plover and because of this Golden Plover population (as well as its Merlin population) the area has been designated as a Special Protection Area. Our most recent Moorland Breeding Wader survey (2014) found the highest densities of Golden Plover on record in this area. The Goldilocks Buttercup (sometimes known as Wood Buttercup) is a small low growing straggly plant that flowers in April/May. 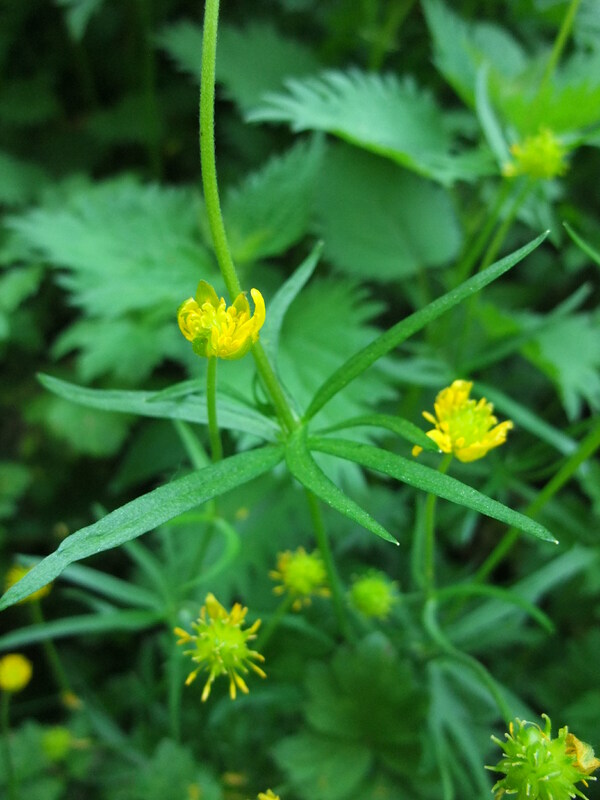 It has bright yellow flowers with uneven misshapen looking petals. It is often found in Ancient Woodlands sites growing in moist glades, on hedge banks and along shrubby margins, and as a ‘calcicole’ it thrives on chalk, limestone and other basic soils. There are orphan Goldilocks within Helmsley Churchyard. To the north of the churchyard is Beckdale which is still wooded and here the plant grows alongside the beck – just downstream the same beck runs through through a culvert in the Churchyard. The Goldilocks could be a surviving remnant from woodland on the site over 1,000 years ago. The Egton Bridge Gooseberry Society has maintained the competitive northern tradition of showing and comparing the heaviest gooseberries grown, since approximately 1800. The Egton Bridge Gooseberry Show is held every year on the first Tuesday in August – and is all about this deliciously juicy cultivated fruit. The wild relation (Ribes uva-crispa) can be found occasionally in old hedgerows. The Goths, or Visigoths, were a Germanic Tribe largely responsible for the fall of the Western Roman Empire. But it’s not that type of Goth that congregate in Whitby at least twice a year. Our Goths are those who celebrate the darker side of existence and share an appreciation of the morbid and the beauty of horror, and you couldn’t meet a nicer bunch of people. 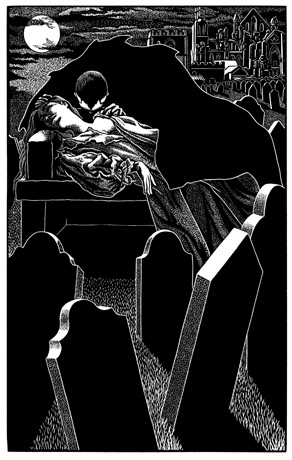 They are drawn to Whitby because of its association with Dracula, a personification of the Gothic. Hopefully on their way over the moors to Whitby they enjoy the dark brooding skies and the grim lonely landscapes of the North York Moors. Grasslands are extremely important habitats supporting a wide range of plant and animal species. A large part of our grassland habitats resource has been lost in the National Park, like elsewhere in the country, through agricultural intensification where land has been ‘improved’ by using fertiliser and re-seeding to increase productivity and make a better living. Species rich unimproved grasslands still exist in the National Park, though they are now often small and isolated remnants of habitats that used to be widespread – in 2012 it was calculated that of the 45,000 hectares of grassland in the North York Moors only approximately 1,150 hectares were species rich grassland. These small areas hang on where their location or terrain has made it difficult to intensify management, for example on steep banks and in awkward field corners. Roadside verges can also retain valuable grassland flora. 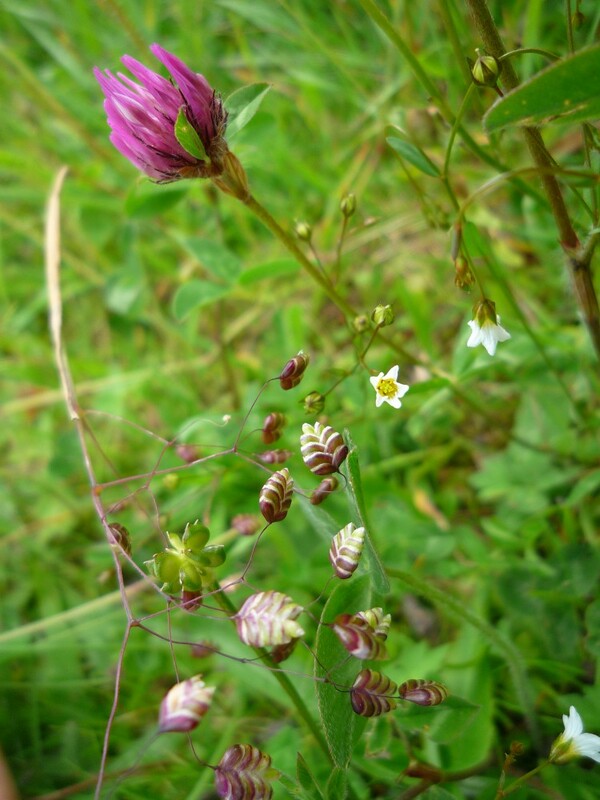 In the Tabular Hills, along the southern edge of the North York Moors, diverse species-rich calcareous grasslands can still be found. However, these grasslands are at risk; under grazing can lead to scrub encroachment, whereas over grazing can cause erosion and loss of vegetation structure and plant species. Lowland Calcareous Grassland* is a priority habitat that the National Park seeks to conserve, restore and where possible create. Locally, there is a lot more good quality, semi-improved grasslands in the North York Moors which despite being species rich, do not qualify as a species rich priority habitat because they don’t reach the abundance threshold. Instead these grasslands are classed as ‘good quality semi-improved or degraded grassland of high species richness’, or ‘semi-improved grassland of moderate species richness’. These grasslands are often farmed but just aren’t ‘improved’ to the level of other fields. Our grasslands may have been slightly more species poor historically than grasslands elsewhere in the country e.g. the Yorkshire Dales because they are close to acid moorland soils and not surrounded by calcareous geology and consequently do not typically have an abundance of calcareous (limestone) species. However, for this National Park they are still locally valuable habitats supporting a diverse flora and associated species and well worth conserving for biodiversity and landscape reasons. This is one of the main aims of our Habitat Connectivity initiative. *The North York Moors is mostly under 300 metres altitude which is the approximate dividing line between ‘lowland’ and ‘upland’ habitats. This entry was posted in Biodiversity, Conservation, Environment, Events, Landscape, Local Community, National Park, Natural Environment, North York Moors and tagged Ancient Woodland, Birds, Duncombe Park Estate, Geology, Habitat, Historic England, Historic Environment, Mining, Mulgrave Estate, National Trust, Odonata, Plants, Rievaulx Abbey, Whitby, Yorkshire Wildlife Trust by North York Moors National Park. Bookmark the permalink.